Brauilio Cuenca Cruz was the one who told me about it. He said he was fined in the amount of 30 pesos just for publicly expressing his nonconformity with regards to the Cuban health system. This occurred during the meeting of Popular Power, which took place in the small town of Antilla, where he claimed his right to criticize the skyrocketing cost of the neonatal services in the municipal hospital of that town. Braulio added that there were leaders of the party and of the government present in the meeting. At the conclusion of the assembly, he was approached by a police officer who imposed a fine on him for “supposedly” wanting to sabotage the government meeting. A native of Antilla, Cuenca Cruz, assured me that he will not pay the fine and he knows that because of this he will run the risk of having the fine increased. He says he is doing it to be persistent, and that for believing in justice he will have to go to trial to demand his rights. He feels that he has the right to freely express himself, even if it is in front of those who run the country and the municipality. I did not tell him my opinion about his intention to speak out against the fine, because I don’t find it appropriate that I induce people to make certain decisions. I remember that, not too long ago, my wife took some “legal” (if you can refer to something in my country in that way) steps. We turned in some formal demands to the Provincial Fiscal Office, and in a matter of little time they cited me to appear at their hermetical offices of Holguin. The results of that citation are known to my readers, for I described it here on my blog. But since I do not want to feel guilty for not warning the rest, I read the report which the Guantanamo native Anderlay Guerra Blanco posted just a few weeks prior in the blog El Palenque. 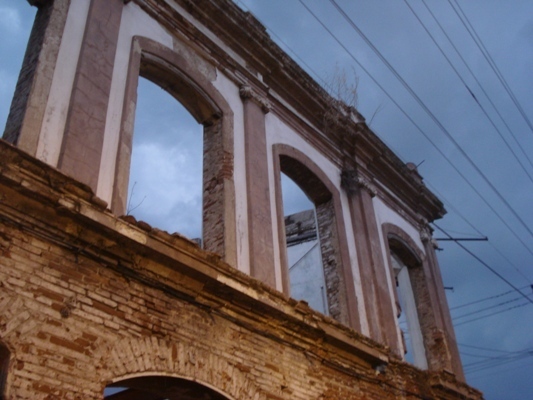 Dolin Dachao Alexander expressed his sentiments against the Cuban dictatorship from the roof of his house itself during an Assembly of Popular Power which took place in his hometown. He began to shout, “Down with the dictatorship! Down with Fidel Castro! 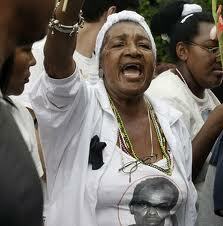 Down with Raul Castro!” in front of all those who were present. He was immediately detained and shoved into a police car, which would take him to the provincial unit of State Security operations. In the popular tribunal of that city, they carried out a trail for him because of supposed lack of respect in the cause of 20/2010. When they sentenced him with 10 months of forced labor, Dolin responded with the same exact words which got him jailed in the first place. I remember all the times my wife has shouted those same phrases to the police when they have come to detain me. She knows the risks she runs, and yet she does not hesitate to express what she thinks of them. 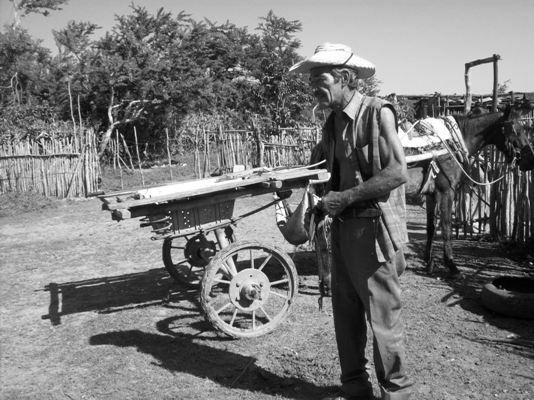 I recall the stories of Caridad Caballero, Marta Diaz Rondon, Idalmis Nunez, and all my compatriots from the Alliance, Rolando and Cristian Toranzo, when they all detailed to me what they lived through within the “instruction centers” of Pedernales, where they also screamed for freedom at the top of their lungs. The women showed me their bruised lips, products of beatings against them intending to shut their mouths. Vega commented to me that this time they simply warned him, but that he now only had a few weeks to start searching for employment. If he fails, then he will have to go before a court. They have already spoken to him about accusations, and in my country that translates into imprisonment for more than a — and that’s if he is lucky. Vega then told me that he knows a few young men who have been threatened during the last couple of days by these same police whose sector belongs to the third unit of the city. Meanwhile, other people, who have asked to remain anonymous, assured me that he Chiefs of the Police Sectors and “Chiefs from the Commission of Social Prevention” have called a meeting with the unemployed people of the labor sector to force them to work, a contradiction which affects many, especially when the government authorities have announced massive lay-offs in sectors like public health, interior trade, the sugar industry, and some administrative dependencies. They confess that they do not understand such contradictions. A few days ago, I traveled out of San German. I left behind the murmurs of the nonconformists, complaining about the news of so many lay-offs, about the monitored meetings to be held in each neighborhood, and the very limited options for future employment. But in the places I traveled to, I heard no other subject. Artists from the different theatre, music, and painting groups, along with workers from the House of Culture will all have to go through the difficult process as well, according to what a friend of mine told me. People who work in offices, cafeterias, education, and a number of health workers also complained. What I did notice, however, was that no police officer mentioned that they had been laid off, nor a single member of the Communist Party, or the government, which is called here the “Popular Power”. None of these people mentioned that the situation was “not right”, and that they would have to go work in agriculture, unless they wanted to be considered socially dangerous. *Translator’s Note: “Social dangerousness” is a crime defined as the potential to commit a crime, and carries a 1 to 4 year prison term. others will feel my fear. Despite the fence and police surveillance that I’ve won by being a disobedient Twitterer, I was able to go to Guantánamo on November 8. I knew that Rolando Rodríguez Lobaina, José Cano Fuentes and Yober Sevila were already back home after their arrests and beatings from October 31 in Banes, and their confinement in the cells of G-2 until November 2 in Holguin. There Rolando tells me that while I was traveling to the other end of the island to deliver to X the recent issues of the Valencia Solidarity Project journals, that would be placed in the virtual village in their traditional PDF format, he was charged with total discretion to compose another story. “The march was in progress and we were in the cemetery. Once we were at the foot of the tomb of Zapata, everyone started to come, all of them in droves. Hundreds of soldiers were divided into three blocks. A block came into the cemetery from the rear, another block occupied the right side of the cemetery exit, and a third block arrayed themselves on the left hand side with the buses and patrol cars located where we would have to exit. “Once we saw that the assault was imminent, we decided to link ourselves together, locking arms, and put the women in the middle and leave in a block like that. When we got to the bottom of the cemetery they fell on us. They were pulling, taking us out of the cordon, beating and kicking us. One of them used martial arts on me, around my neck, nearly breaking it. And when I was locked in that position another one came and gave me several punches to the ribs, the body, and so they savagely, brutally, forced us into the buses that were also full of officers from State Security. They pushed us in there. I saw them beating Ramoncito from Mesa de Banes, and Rogelito, Zapata’s brother, it all happened too fast to deal with it. “Reina was in the middle but I don’t know why as they were pulling on us as we tried to protect her, everyone was in the middle of the floor because we started to sing the national anthem and all that, but I can say we were brutally repressed with kicks and punches and thrown violently onto the buses. And in the buses, between them shouting ‘Viva Fidel’ and us shouting ‘Down with Fidel!’ and ‘Down with Communism’ and ‘Down with the Dictatorship’ and all these things, they drove us to the headquarters in Banes. “First they took the people from Gunatanamo and took us out and put us in a convoy of patrol cars, and then took us to Pedernales (The G-2 Training Center in Holguin). There in Pedernales we learned from the same soldiers that since early in the day there had been a platoon of patrol cars going to Banes, so the contingency was already prepared. So they broke us up and put us in different cells on the double. It was very full of police and guards there at the center of criminal investigations, of Pedernales operations. So there we were shouting slogans. “They kept us there until Tuesday when they took us to Guantanamo in police cars, but not before giving us a series of police warnings and threats. They talked about applying Law 88 to us, the well known Gag Law, and tried to get us to sign the warnings but as always we refused to sign this paper because we have not committed any crime and they have committed them in violating our rights as citizens. This time when we refused they brought video cameras to film the moment in which they extended the document to us and we said we wouldn’t accept it. They said making this video recording would constitute proof to the authorities. 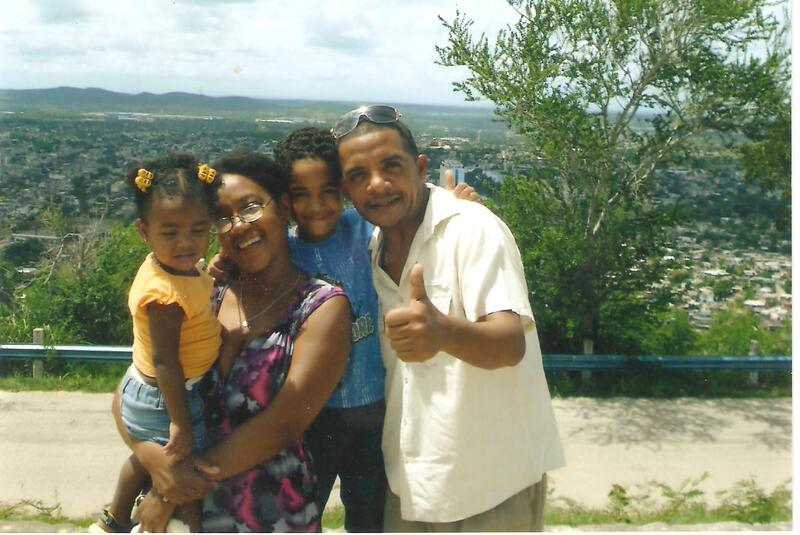 “We were from different provinces but in our case it was three from Guantanamo and two from Baracoa. I don’t know any more about what happened with the women or with the other brothers who were arrested and beaten. On Tuesday night they took us back to where we live. 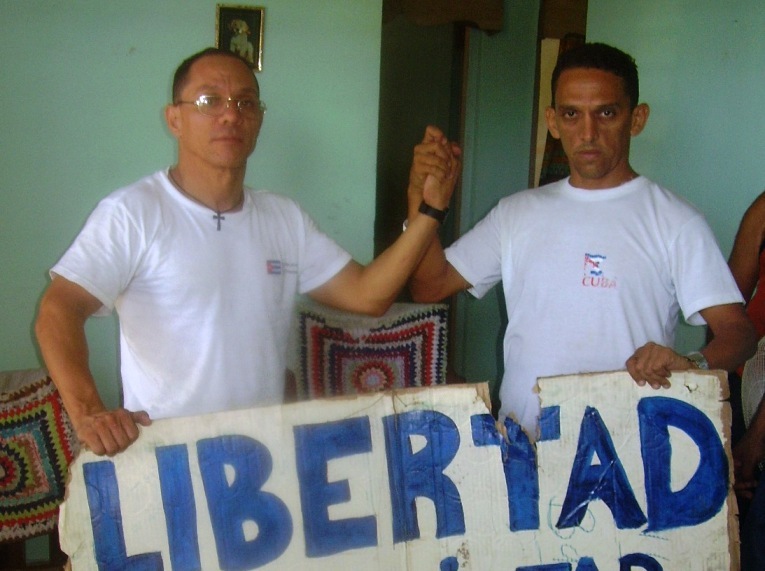 In the case of Rodolfo Barthelemí and Francisco Luis Manzanet who live in Baracoa, they took them but didn’t leave them in the town but rather they dropped them on a road where cars rarely pass at night. They told me that they weren’t able to catch a ride and go back to their hometown until morning. Here is some evidence of what we are talking about, although I transcribed the complete conversation. My telephone battery runs down twice a day. Every three minutes I receive local calls, which, of course, I don’t respond to. On occasion, when I have responded I have received insults, threats, and attempts to destabilize me. As for the usual restrictions which the repressive forces exercise against me, we now see the shady complicity of the Telecommunications Company, together with the vandalism of the G2 official, Saul Vega, and his assistant, snitch, and fellow rat, Maikel Rodriguez Alfajarrin (shown in the photograph with the striped shirt). 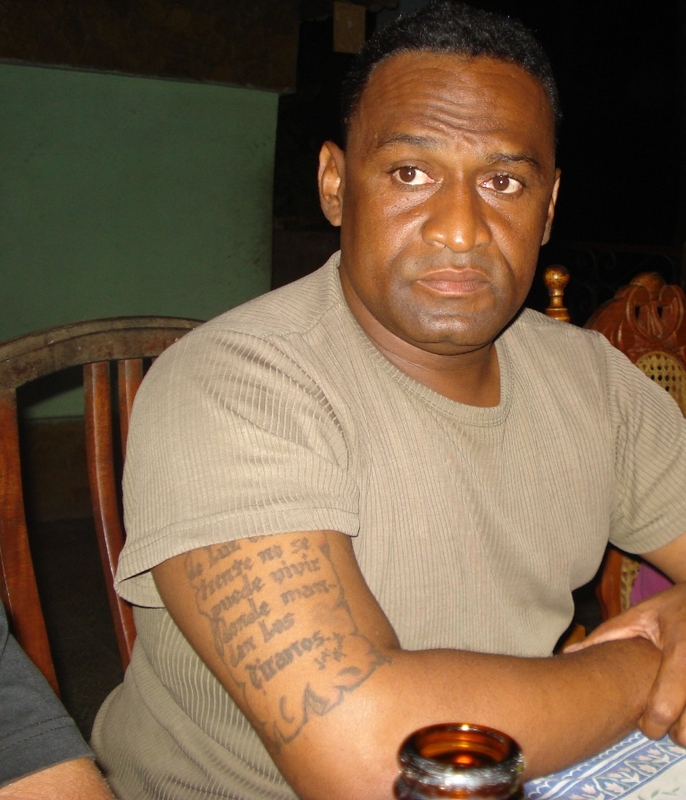 Rodriguez Alfajarrin is the Chief of the Confrontation Brigade in the Municipal Housing Unit of San German. His job consists of detaining those who rent out houses illegally, carry out construction without permits, and those who buy land, or transfer it from one family member to another to avoid turning it into the state. Among the informal accusations of the citizens, which in the end turn out not to be very well heard, is the statement about the high standard of living of the state inspectors, which receive a hefty salary. Their repressive job also consists of harassment over the phone. In fact, I surprised them in such an act when, this past Wednesday, they called me from a public number and I searched the last two missed calls, later calling myself from that telephone to prove it was them. Cynicism and shamefulness. A supposed official acting like a midwife, lingering around at home all day paying close attention to all the details of the lives of those who surround her. Thanks to CUBACEL, more than 15 cellphones ceased working at the same time on Sunday, the 31st, when they were beating the dissidents in Banes, along with Reina Luisa. In the same vein, this past weekend my cell phone’s text messaging and twitter service stopped working yet again, ever since Friday. On the screen of my phone, it read “limited service.” Caridad Caballero Batista, an independent journalist in Holguin, filed a complaint at the ETECSA Territorial Manager’s Office. The young ladies from the CUBACEL customer service department, especially Niurka, jumped into a real tongue-twister. She kept going back and forth while I was asking about the connections between the political police and the company she worked for. She asked me if I had perhaps dropped my phone, and I responded that the only time it got hit was when two technicians, working in the service of the G2 at the company she works for, decided to mess with it. Now, such an outrage has gotten even worse in regards to all the thefts committed to Rolando Rodriguez Lobaina, Jorge Ceballos, Nestor R. Lobaina, and many others. Their phones have not been given back to them. Caridad Caballero herself, when they confiscated her phone, went all the way to the commercial office, once again reporting it as lost — and that was it, everyone went back home as if were nothing. The G2 steals our phones while CUBACEL sells you connection lines again!!!! Temporary suspension of service lines, harassments over the phone, offensive messages being sent from unknown numbers, confiscation and breaking of cell phones, restrictions on sending out international messages, and the prohibition of being able to receive “re-charges” from abroad. These are just some of the obstacles which a business with double-moral, such as ETECSA, which relies on investments of Mexican, Italian, and other capitals, offer to their customers, all the while abiding by the rules of the olive-green leaders. Very nice promotion, excellent offers. A model of corporate Cuban perfection.